Born: 1853, Wigton, Cumbria, United Kingdom. Donald Calder Leitch, British civil engineer, was educated privately and at Edinburgh University, and was a member of the Institution of Civil Engineers (MICE). In 1878 he married Marion Logan, with whom he had three children. He first came to South Africa in 1890, but later returned to Britain. During the years to 1902 he was assistant director of the Architectural and Engineering Works in the Admiralty. 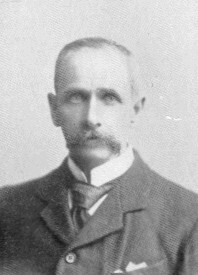 In June 1902, just after the Anglo-Boer War (1899-1902), Leitch was appointed town engineer of Johannesburg, with C.S. Burt Andrews* as his deputy. The city was beginning a period of tremendous growth and reconstruction that lasted several years, during which these two men proved themselves highly competent. During Leitch's short service of only two and a half years several major projects were completed or initiated. A vast scheme of water mains and distribution pipes was constructed, linking in with the take-over of water supplies by the Rand Water Board in 1903. During that year work was started on the town's first water-borne sewerage scheme; also some 26 km of tramline was laid down for the city's eagerly awaited electric trams, and the streets of the central city area were upgraded. The first fully-planned stormwater drainage system was constructed and, thanks to Leitch's foresight, functioned independently of the sewerage scheme. Leitch was an early member of the South African Association for the Advancement of Science and served on its council as one of the representatives of Johannesburg during 1903/4. At the association's second annual congress, held in Johannesburg in 1904, he read a paper on "Duration and area of heavy rainfalls". The paper included tables summarising the heaviest rates of rainfall (in inches per hour) recorded at Johannesburg since October 1897 and he used the data to evaluate a formula for determining the rate of fall on a given area. In 1905 he became a member also of the British Association for the Advancement of Science. About this time he wrote a critical evaluation of a water scheme proposed to the Rand Water Board by Messrs Hunter and Duff. He resigned at the end of 1904 to take up the position of chief engineer to the Rand Water Board. Andrews succeeded him as town engineer. For the next five years Leitch's main concern was meeting the ever increasing water needs of the expanding Witwatersrand. Soon after taking up his new position he compiled a Preliminary report on the water supply of the Rand (1905). Towards the end of his service he wrote a Preliminary report on a scheme for additional water supply on the Rand (1910). After leaving the service of the Rand Water Board in 1910 an extensive paper by him on "The water supply of the Witwatersrand" was published in the Minutes of the Proceedings of the Institution of Civil Engineers (1912). He was a member of this Institution and during 1912 to 1919 participated in the discussion of and correspondence on many civil engineering projects in its Minutes of the Proceedings. Google scholar. http://scholar.google.co.za Publications by D.C. Leitch. Hall, A.L. A bibliography of South African geology to the end of 1920. Pretoria: Geological Survey, Memoir No. 8, 1922. Shorten, J.R. The Johannesburg saga (pp. 571-572). Johannesburg: J.R. Shorten, 1970.